From Latin fēlīnus, from fēlēs (“wildcat, marten”). Of or pertaining to cats. 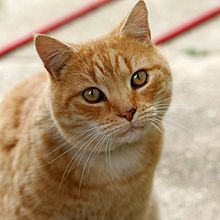 (formal) A cat; member of the cat family Felidae.